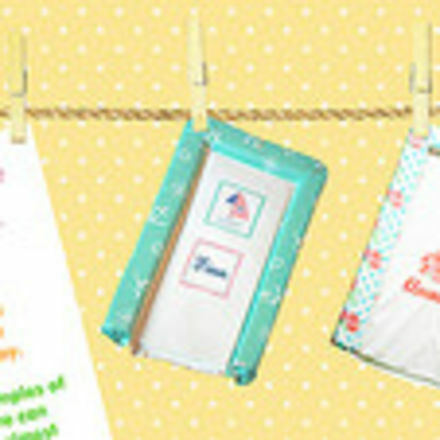 Baby Mattresses Online would like to let our customers know that you can have custom printing and embroidery across our full range; changing mats, cushions, blankets, clothing, hooded towels, wall art, teddies and just about anything else imaginable. This printing can be matched to wallpapers and fabrics which are already in the room! Why not order everything you need for your matching room today! If you have a little one on the way and cannot find any nursery themes you like then why not create your own and get everything matching. A popular request we have is for customers who create almost like their own brand, they have their designed logo and name printed on all items. 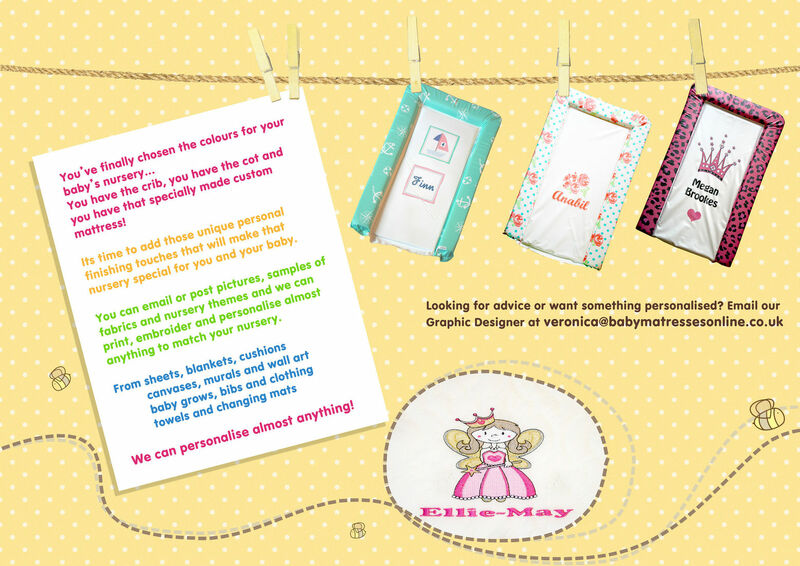 Another popular request is for personalised products featuring the name of their child. If you want to be in control of your full bedroom range then come to us for your products today. If you are sending photos of the fabric or pattern you would like your items to be matched to then please bear in mind that unfortunately your computer screen may differ to ours in the office and so there could be a slight change in regards to the actual colour match. The ability to create your own full range of bedroom items through custom printing and embroidery really is fantastic! This is the ultimate dream for footballer’s wives and those who love having one off products. You can unleash the designer inside yourself and come up with a whole range of really fantastic designs. Why not let our designer Veronica become your very own "personal shopper & advisor" as she can source loads of images, patterns and designs and then ultimately customise your products. She can be contacted by email at veronica@babymattressesonline.co.uk or call her on 01254 777603. Eat your heart out Cath Kidson! If you have an idea for a custom printed or embroidered product then please let us have some information. Just send a photo of your product to veronica@babymattressesonline.co.uk along with some details about why the design was chosen and if there are any stories behind the custom printing & we'll take it from there. For more information about our customisable products then please contact us on 01254 777603 or email info@babymattressesonline.co.uk.